At Home & On The GO Physiotherapy & Fitness Services.. In The Name Of Summer Awesomeness, Save On Shipping for IASTM! Plus, get bonus colour upgrade and logo engraved! In the name of summer awesomeness, we will be running a labour day Free shipping and colour/logo engraved special until September 7th, 2017. Get your own custom blade with your personal logo engraved onto the M2T-Blade and get free shipping! 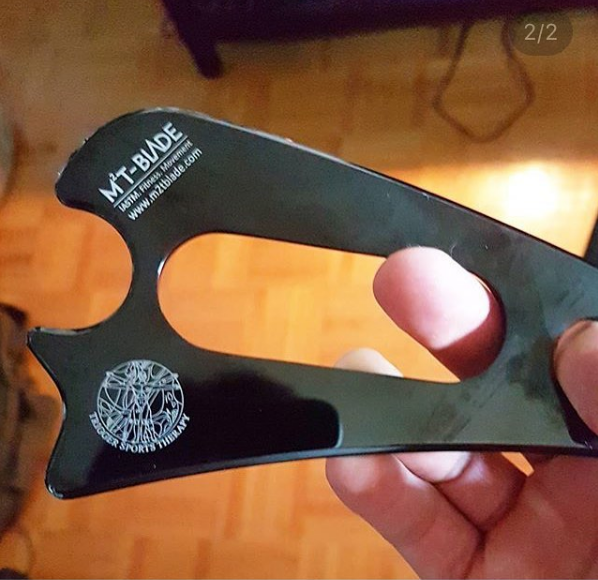 Why is the M2T-Blade different? Enhance Your Practice and Get Better Results With Your Patients By Using Soft Tissue Instruments.. The Only Double Beveled (35° and 55°) Tool With Easy Grip Handle On The Market! 8 Distinct Treatment Points with A Total Of 14 Edges All In 1 Tool! 100% Surgical Grade Stainless Steel. Practitioners Can Find And Easily Treat Scar Tissue And Adhesions! M2T Blade Inc. & VIGOR KINETIC TAPE INC.